With Cambodia being privileged to provide a home to around 92 Mekong Irrawaddy dolphins, one of only seven freshwater dolphin species in the world, we attach great importance to this Freshwater Dolphin Day 2018. People across the globe celebrate the importance of river dolphins each October. Cambodia celebrates Freshwater Dolphin Day in Mekong Flooded Forests (MFF) landscape to highlight the magnificence of Mekong dolphin. 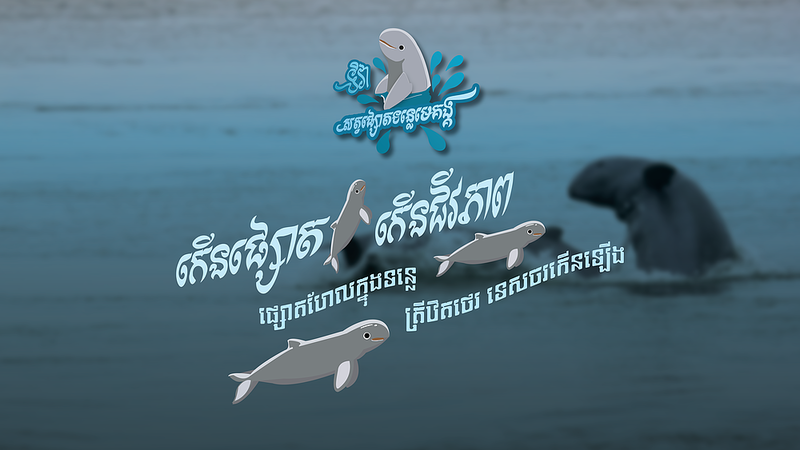 This year is the 5th Freshwater Dolphin Day in Cambodia since 2014. With Cambodia being privileged to provide a home to around 92 Mekong Irrawaddy dolphins, one of only seven freshwater dolphin species in the world, we attach great importance to this day. Our dolphins inhabit the Mekong River between Kratie town and Cambodian-Lao border in Stung Treng and are regarded as Cambodia’s national living treasure. The species does not only have a long history in Cambodian culture but also plays an important role in balancing and creating healthy environments and attracting eco-tourism. Raise awareness on the importance of dolphin for tourism. Raise awareness on the connection between dolphin conservation and fish stocks. The main theme of Freshwater Dolphin Day 20018 is “Increase dolphins, increase livelihoods”. The idea is to increase public understanding about the value of dolphin conservation in the Mekong River by showing clear linkage between dolphin and local livelihoods. Dolphin reflects the health of the river and its biodiversity. Healthy river has rich biodiversity and sustainable fish stock which can potentially contribute to eco-tourism and improved livelihoods of the local people. The key message gives further explanation about the meaning of the linkage between increasing dolphins and increasing livelihoods by emphasing how long-term existence of dophin population in the Mekong River can contribute to sustainable fish stock and the increase of ecotourists. Around 1,500 people will involve in the event. The majority of them will be Kratie town folks plus high ranking officials from Kratie’s provincial administration, Provincial Department of Environment (PDoE), Provincial Department of Agriculture, Forestry, and Fisheries (PDAFF), Provincial Department of Tourism, Fisheries Administration, donors, and volunteers. 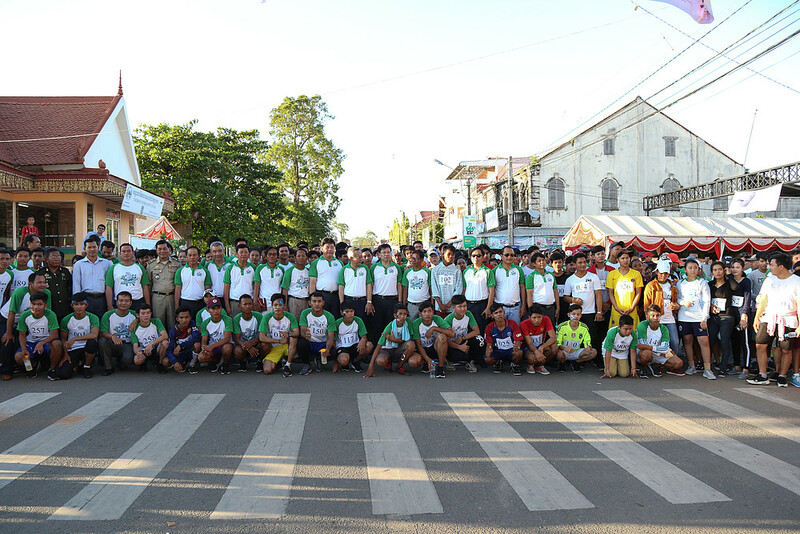 In late afternoon, participants registered for the half marathon will be organized for a short walking parade before starting the half marathon around central Kratie town. The parade will send key messages about dolphin conservation and its value for local livelihoods and eco-tourism. In the evening, there will be Khmer traditional blessing dance, art performance by famous artists, guided meditation, Q&A and games about dolphin conservation to win prizes.